This week Paul Miller joins me as a special guest to discuss media relations. Paul is the head of the political and media consulting group, The Paulie Group. As a respected authority on journalism, media relations, national politics, foreign policy and media accountability, Paul has been quoted and sourced by the New York Times, Fox News, Chicago Tribune and the Washington Times. He has had countless stories published on The Hill, The Drudge Report and Breitbart. He has been on countless radio programs and worked on many political campaigns. I am excited to have Paul on the podcast to teach us the trade secrets of media relations for political campaigns. No matter what the size of your campaign, you will want to make sure to listen to this podcast and learn everything that you can about this important topic. 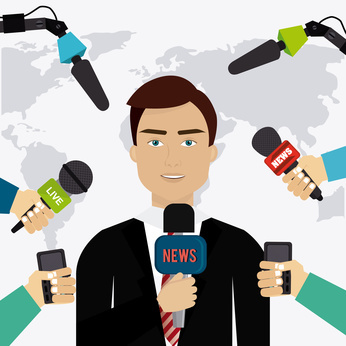 Where to start in building a media presence– learn step by step how to build a media presence for your political campaign. This entry was posted in Podcasts and tagged media relations, publicity, running for local office. Bookmark the permalink.